We are proud to present Borough Mansion. 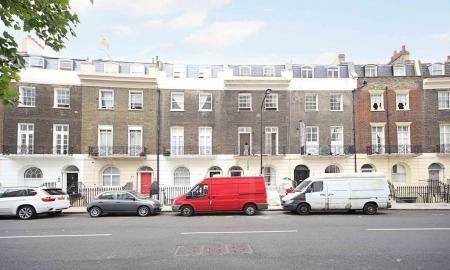 An exclusive refurbishment in a sought-after hot spot for contemporary London living. 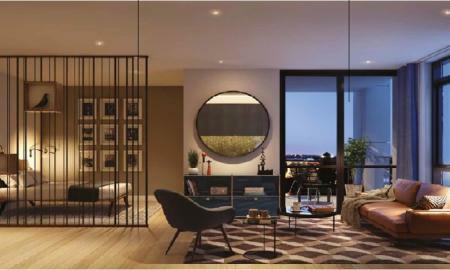 Four luxury apartments, south-east facing, each boasting a breath-taking view of The Shard, the tallest building in Western Europe and one of the most iconic symbols of London´s skyline. Simplicity and minimalist elegance. High quality materials and detailing. 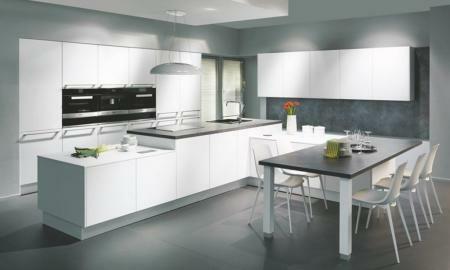 Energy efficient and environmentally responsible. Designed to deliver the magical relationship that exists between architecture, light and avant-garde technology. Situated between the traditional City of London and the more relaxed, creative Bankside, London Bridge is full of interesting attractions and surprises. It holds a prominent position in the history of London, being the first bridge built by the Romans across the Thames, while its station was central London´s first railway terminus. Today, the area continues to evolve and to thrive as a world-class place to do business and to live. 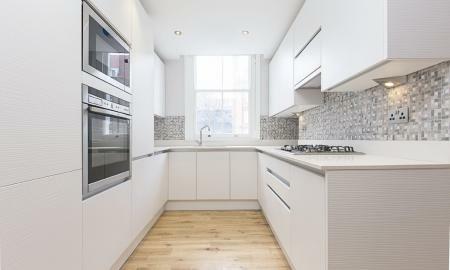 Brand New Development FOR SALE NW1 A fantastic 2 Bedroom 2 Bathroom (1En-Suite) duplex apartment set within this newly re-developed Victorian conversion in the heart of Euston. 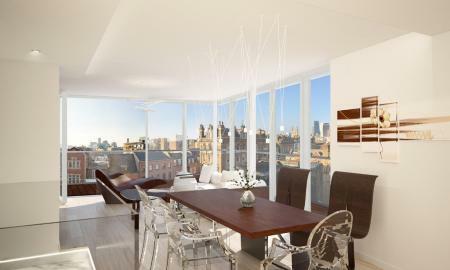 Boasting just under 1000 Sq Ft of practical and well designed living space. The property benefits from a private entrance, a generously sized reception room, a bright and spacious open plan kitchen leading to a large rear terrace which offers a rarely available secure, quiet and relaxing area. There are two large double bedrooms on the lower ground floor with separate storage. The master bedroom boasts a family size En-suite bathroom and access to a lovely private patio. With great quality wood floors throughout and high end fixtures and fittings, the property has been finished to a very high standard. 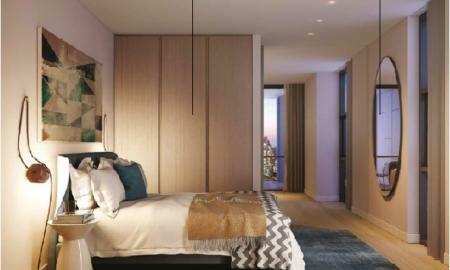 Eversholt Street is superbly placed for access into the City and West End, is only a few minutes´ walk from The British Library, Mornington Crescent tube station and the local amenities. Brand New Development:- 2Bed Maisonette FOR SALE NW1 A bright and well proportioned 2 double bedroom upper maisonette arranged on the top (1st & 2nd) floors of this mid terrace Victorian house within the sought after and conveniently located area of Euston. This property has undergone a full refurbishment to a very high standard, and boasts modern fully fitted open plan kitchen, spacious reception with exposed brick wall, two double bedrooms, stylish modern bathroom and wood floors throughout. Eversholt Street is superbly placed for access into the City and West End, is only a few minutes´ walk from The British Library, Mornington Crescent tube station and the local shops, cafes, bars, eateries and supermarkets of Camden High Street. Euston, Kings Cross and St Pancras International stations are all within walking distance, as are a number of London universities. 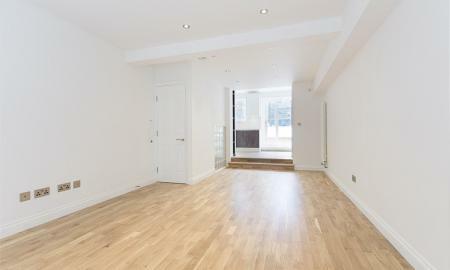 12th floor 1 bed apartment in new build development in close proximity to Old Street, EC1V.